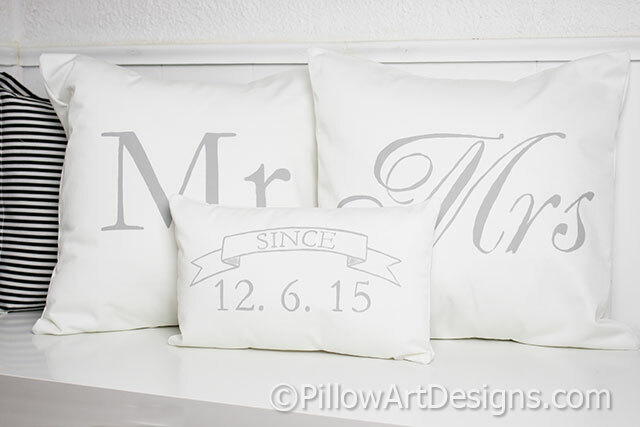 A set of Mr and Mrs pillows with mini date pillow included. 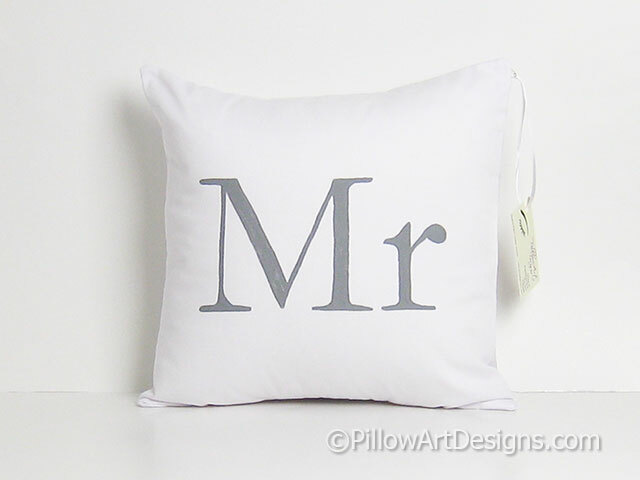 The Mr pillow is done with a masculine font, the Mrs done in script, made to fit 16 X 16 inch inserts (not included). 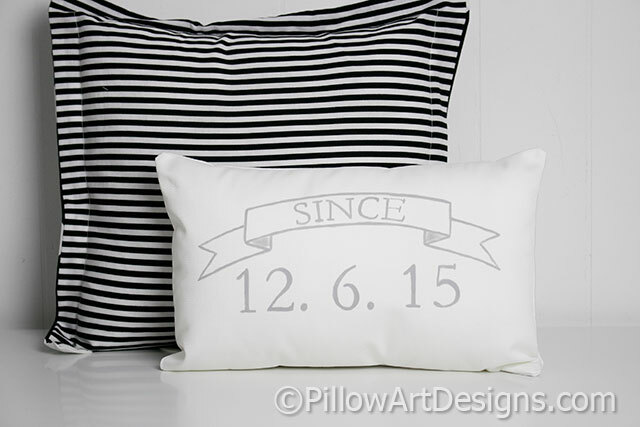 Mini pillow features date in numerical format below a banner with the word 'Since'. 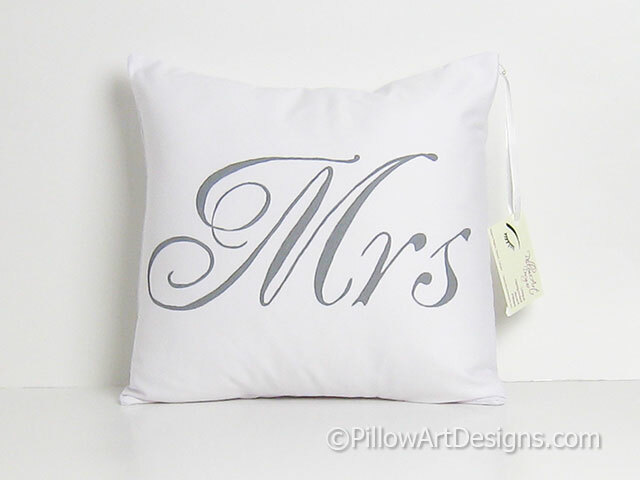 Mini pillow comes stuffed with hi loft polyester fiberfill, no need for an insert. Example set shown in Stone Grey on white cotton twill, other paint colours available, please contact me with your request. Outer fabric is white cotton twill. All covers are fully lined with white cotton polyester. Envelope closures on all covers. For the very best results, spot clean or hand wash in cold, lay flat to dry. To order, simply purchase this listing and send me an email with the date you wish on the mini pillow. Please allow 1 week for me to complete and ship your order.